Lamb’s Ear is botanically known as Stachys byzantina. It is a favorite perennial garden plant here in Colorado and is an excellent drought tolerant choice for sunny flower beds. In the floral trade Lamb’s Ear is a popular green use for wedding work. 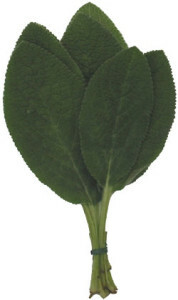 Lamb’s Ear leaves are available two color variants, green (pictured) and dusty silver. The leaves are very soft to the touch and don’t have much of a fragrance. Lamb’s Ear is sold in 10 stem bunches.